​Halton, Oakville, Ohsweken, Milton, Mississauga, St. Catherines, Stoney Creek, Waterdown and West Toronto. NOW OFFERING LABOUR and BIRTH SUPPORT! I am pleased to announce I have partnered with the amazing team at Hamilton Family Doulas to provide Labour and Birth Support. To book, or for more information about this service, email hello@hamiltonfamilydoulas.com or call 289.426.5170. Please specify that you would like me to be your doula when you reach out. 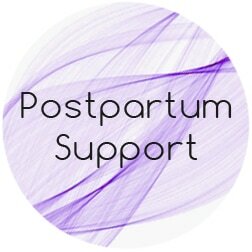 Modern Doulas are often recognized for labour and immediate postpartum support work, and can be an excellent resource for pregnant people who have an OB or a midwife providing medical care. Full spectrum doulas go beyond these typical roles and provide knowledge and support for the full spectrum of reproductive system health. Doulas are not clinicians - they are knowledge keepers, "aunties", and caregivers offering informed choice discussions, emotional and physical support adjuvent to your primary health care provider. 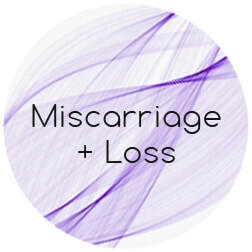 Sensitive: Pregnancy is very sensitive and vulnerable time, especially when dealing with unknown factors such as new hormonal chemistry, new sensations, hopes and fears, as well as loss, grief, and even relief. My practice involves holding space for a broad spectrum of emotion without judgement. Inclusive: I recognize that pregnant people may self-identify as women, men, genderqueer, or agender. They may be single, or coupled, or polyamourous. They may intend to parent or not. It is out of great respect for human diversity that the language on my site is neutral and inclusive of all intersections of identity. 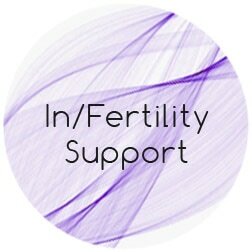 The doula support I offer is customized to the needs of you and your family. Encouraging: I believe that we are experts in our own bodies and we each carry wisdom that is informed by experience and circumstances. While I have studied and practiced care in many areas of reproductive health, I trust in my client's inner wisdom and encourage them to trust their own instincts when it comes to decision making and infant care. Safe: Above all else, my goal is to hold safe space for you and/or your family. I am here to have your back and amplify your own voice to have the best possible outcome for your reproductive journey. I'm a feminist queer cisgendered woman, a caregiver, a wife, and a mother. Born and raised in southeastern Michigan, I now live in downtown Hamilton, serving the GTHA (Toronto to Hamilton, ON) in person and provide distance doula support via video conference, email, or phone. My origins are in fine art photography and portraiture, but it wasn't until I studied Medical Office Administration that I became fascinated by (and immersed myself into) birth culture. Over 5 years, I had the pleasure and privilege to provide administrative support to midwives - notably supporting the birth and continued operation of the Toronto Birth Centre. This fondness for the complexities of reproductive justice was further enhanced when my partner and I set out to make a baby of our own through artificial reproductive technologies. I have experienced infertility, miscarriage, termination, term pregnancy, prolonged labour and extended breastfeeding in my own body, and continue to co-parent one of the most amazing people I know. 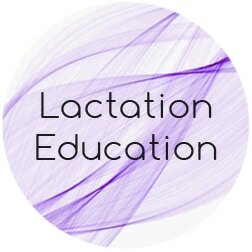 I have trained as a labour doula and a postpartum and infant care doula through Childbirth and Postpartum Professional Association (CAPPA) and ProDoula and studied human lactation at Mohawk Collage. I am an adviser for the Equity and Engagement Advisory Group for the City of Hamilton Best Start Network's Early Years Community Plan, and use my administrative skills to develop inclusive documents and policies for community organizations, clinics, and daycare centres. ​I have completed OFIFC-Toronto's Cultural Competency training (2014) and San'yas Indigenous Cultural Safety training for health care professionals (2017). My full spectrum doula teachings come from Ode'Miin Giizis (Strawberry Moon) Full Spectrum Doula Collective and through traditional storytelling methods of knowledge share. My professional practice includes supporting abortion, miscarriage, in/fertility, pregnancy and infant loss, postpartum baby and parent care, human lactation, safe sleep, overnight infant care, and prioritizing marginalized communities in their many forms. I believe that everyone - pregnant people, partners, and families - can benefit from doula support. ​Please feel free to call or email me with questions or to book a complimentary initial interview to determine if I am the right doula for your needs! I acknowledge that I live and work on ancestral Anishinaabe and Haudenosaunee Confederacy land. This territory is the subject of the Dish with One Spoon Wampum Belt treaty created between the Haudenosaunee Confederacy and the Anishinaabek, including allied nations, to respectfully and responsibly share and protect the resources around the Great Lakes in perpetuity. I ​acknowledge that we are all treaty people and shall honour and respect the past in order to move forward carrying the visions of our ancestors to future generations.